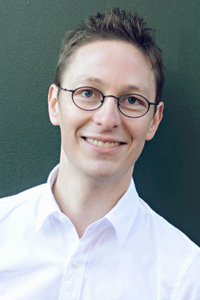 Eliot Schrefer is the author of Threatened, a 2014 National Book Award finalist in Young People’s Literature, and Endangered (2012), also a National Book Award finalist. He is also the author of The Deadly Sister, The School for Dangerous Girls, Glamorous Disasters, and The New Kid. He is a contributor to The Huffington Post and has been profiled in Newsweek and New York magazines, among other publications. His works have been translated into many languages including German, Russian, Polish, Taiwanese, Bulgarian, and Japanese. He lives in New York City. Before humans, and before human history, there were the apes. Snub is a young gorilla, living in the heart of what will eventually be known as Africa. When a natural disaster shakes up her family, Snub finds herself as the guardian of her young sibling . . . and lost in a reshaped world. Snub may feel orphaned, but she is not alone. There are other creatures stalking through the woods — a new form of predator, walking on two legs. The intersection of the human world and the gorilla world brings both new connections and new battles. 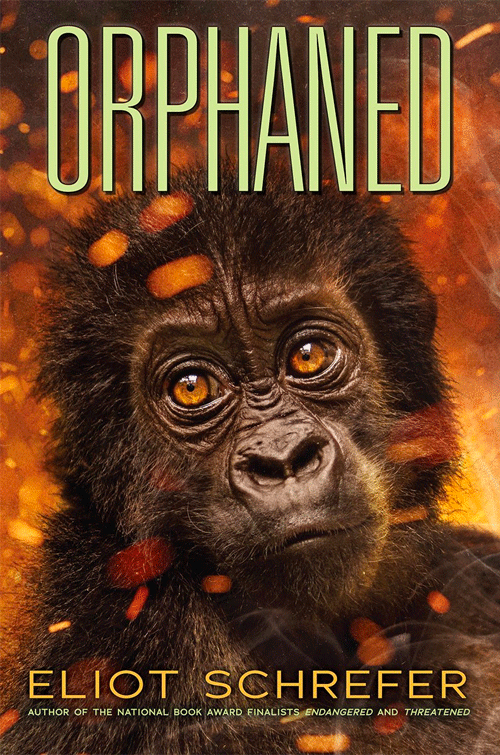 Eliot Schrefer shows a riveting, heartbreaking early encounter between ape and man — told from the ape’s point of view.